You are currently browsing the tag archive for the ‘Brexit analyse’ tag. 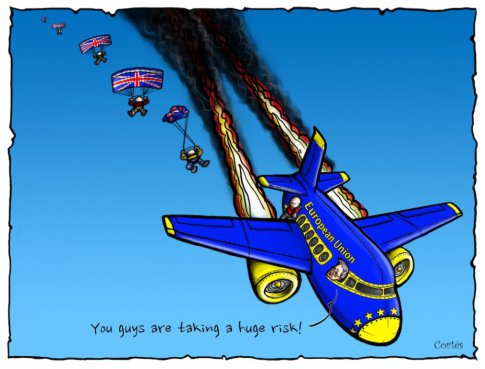 Waarom hebben de Britten voor Brexit gestemd in het referendum van 23 juni 2016? Omdat ze die kans kregen met een referendum. Zouden de Fransen, Grieken, Italianen en sommige andere EU-landen zo’n referendum voorgelegd krijgen, dan zouden ze vermoedelijk hetzelfde kiezen als de Britten: vertrek uit de EU. Natuurlijk zullen die landen van hun politici nooit een dergelijk referendum krijgen voorgelegd. Dat ligt voor de hand, omdat landen die de euro hebben ingevoerd geen duidelijke uitweg uit de EU hebben. Hieronder enkele passages uit het Engelse origineel. ‘In fact, negative opinions about the EU, and especially about its economic policy, are now more widespread in other countries than they are in England. 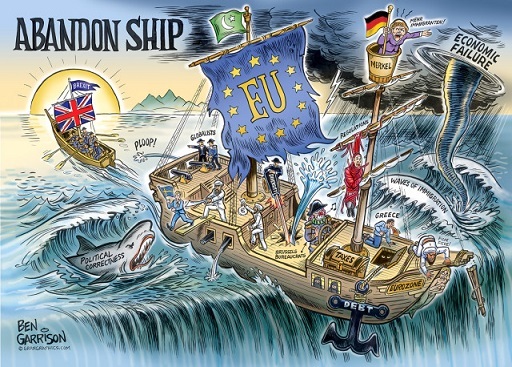 Polls by the Pew Research Centre last month showed that disapproval of the EU was as high in Germany and the Netherlands as in Britain, and higher in France, Greece and Spain. Why this decision? Why in Britain? The simplest and perhaps the best answer is that we have had a referendum. If France, Greece, Italy and some other countries had been given the same choice, they might well have made the same decision. But of course they have not been and will not be given such a choice, barring severe political crisis. This is most obviously because countries that have adopted the euro – even those such as Greece, for which the IMF has predicted high unemployment at least until the 2040s – have no clear way out. As for the anti-establishment “revolt”, this emerged when parts of the establishment began to put organised pressure on the electorate to vote Remain. Would-be opinion-formers have hardly covered themselves in glory in recent weeks. They have been out of touch and out of sympathy with opinion in the country, unwilling or unable to engage in reasoned debate, and resorting to collective proclamations of institutional authority which proved embarrassingly ineffective. 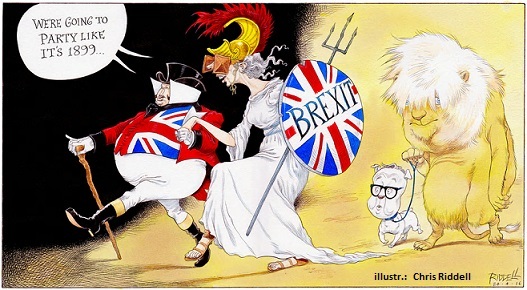 Worst of all, their main argument – whether they were artists, actors, film-makers, university vice-chancellors or prestigious learned societies – was one of unabashed self interest: the EU is our milch-cow, and hence you must feed it. This was a lamentable trahison des clercs. The reaction to the referendum result by some Remain partisans has been a monumental fit of pique that includes talking up economic crisis (which, as Keynes showed, is often self-fulfilling) and smearing 17 million Leave voters as xenophobes. This is both irresponsible and futile, and paves the way to political marginalisation. Many Europeans fear that a breakdown of the EU could slide into a return to the horrors of the mid-20th century. Most people in Britain do not. The fundamental feature of the referendum campaign was that the majority was not frightened out of voting for Leave, either by political or by economic warnings. This is testimony to a significant change since the last referendum in 1975: most people no longer see Britain as a declining country dependent on the EU.